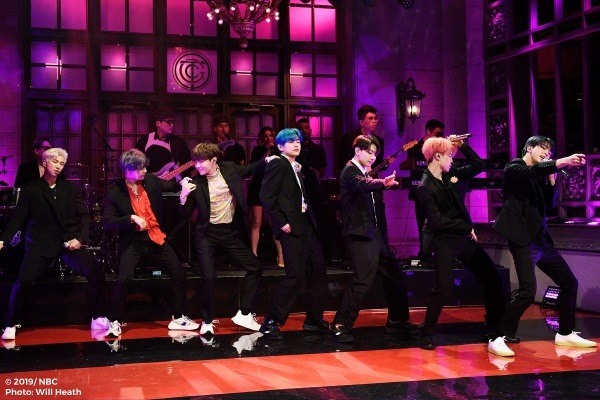 BTS on Saturday made its much-anticipated debut on NBC’s “Saturday Night Live,” becoming the first K-pop group to perform on one of the most popular comedy sketch series in the US. 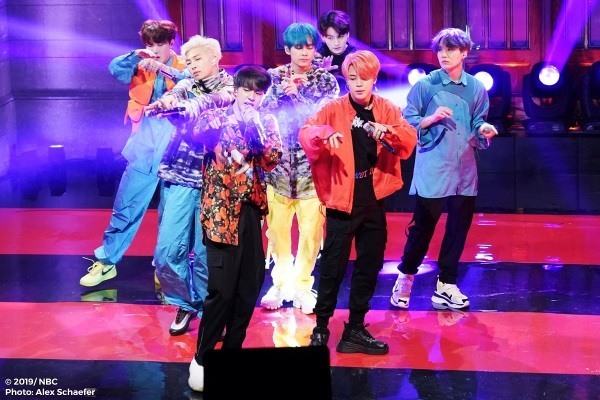 The seven bandmates -- V, Jungkook, Jimin, Suga, Jin, RM and J-Hope -- performed the track “Boy With Luv” live for the first time, after releasing the album “Map of the Soul: Persona” on Friday. They also performed the 2018 hit track “MIC Drop,” a remixed version with Steve Aoki. BTS showcased its high-energy dance moves and stage presence, drawing screams and applause from the audience while sending fans into a frenzy on social media. 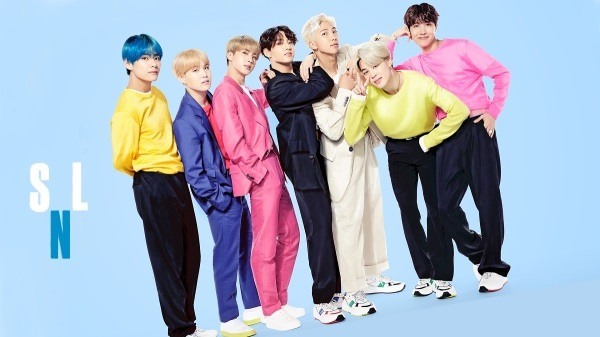 For “Boy With Luv,” the bandmates rocked black suits and white sneakers while highlighting vibrant hair colors. They dressed more fun and casually for the “MIC Drop” performance. The episode of “SNL” was hosted by actress Emma Stone, marking her fourth time doing so. During an opening monologue, Stone, who has spoken of her love for K-pop, joked that she was testing the sound levels by saying “BTS is here,” which was met with screams from fans packed into Studio 8H. Fans had camped out overnight since Monday in front of the studio, in the hopes of getting a glimpse of the band. Halsey, who is featured on “Boy With Luv,” wasn’t part of the performance this time, but the Billboard Music Awards has announced the singer will join BTS onstage for the first time at the award ceremony on May 1. #BTSxSNL has been trending worldwide on Twitter before, during and after the show, amassing more than 1.27 million tweets. BTS’ new album is off to a great start, with the music video for “Boy With Luv” reaching 100 million views on YouTube on Sunday morning, 37 hours and 37 minutes after its release. It has become the fastest video ever to top the record. “Boy With Luv” became the 18th video from BTS to surpass 100 million views.